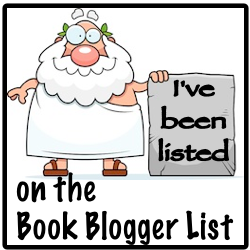 As a bookblogger myself, I am frequently contacted by Authors, publishers and PR people. Every mail I get from book related people is a compliment to me and my little blog. When I started reviewing books here, I never expected it to last as long, be as enjoyable or to be so successful (success is subjective, to me my blog is successful for what I wanted). Some of the people who write to me have read my review policy HERE! and know what kind of books I like to review and some just send blanket mails which are not specific to me or any other blogger or book lover! Regardless, I read all the mails and read the blurbs of the books I am being asked about. I then reply to the sender (not always the blanket senders!!) telling them whether I can or cannot read and review their book. Each time I write a mail declining, I feel a little bad that I am saying thanks but no thanks. It has to be done though, some of the books are just not to my taste and sometimes I just don’t have the time to take anymore books on. I have thought many times, especially when the mails are particularly nice, that it would be good if I could point the sender in the direction of bookblogger who would love to review that particular kind of book. So, I decided that I should do that! In order to do that, I will need a list of people who will want to be contacted for book reviews, and although I know a lot of bookbloggers, obviously I can’t just hand out details as I please. 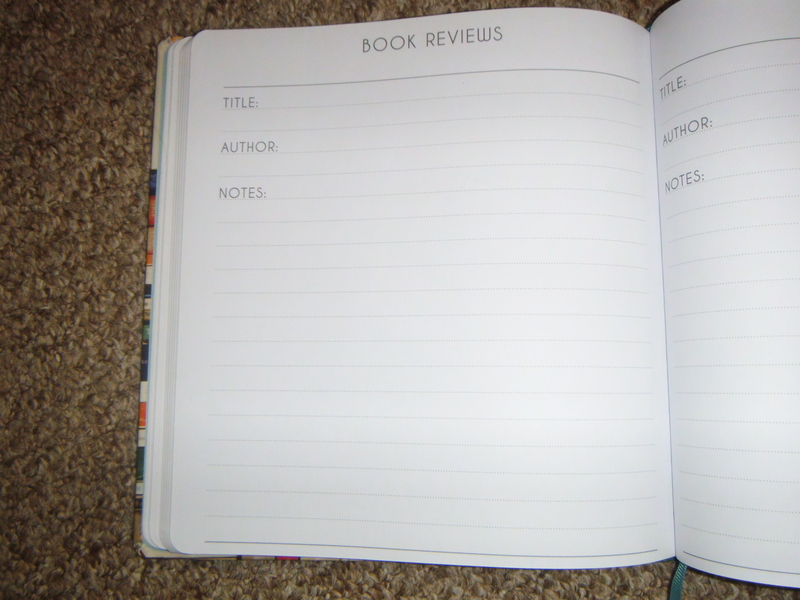 So, if you would like to be on my list of bookbloggers that would like to be contacted for book reviews, please leave your details in my comments section, or if you would like them to be more private then you can email me or private message on twitter. (amandalerryn@yahoo.com / @chocolate_pages). I will send your details to Authors who contact me if I am not interested in their book, they may or may not then contact you asking if you would like to review their book. Your name (first only if you like). The bookblogging community is a lovely community to be part of. 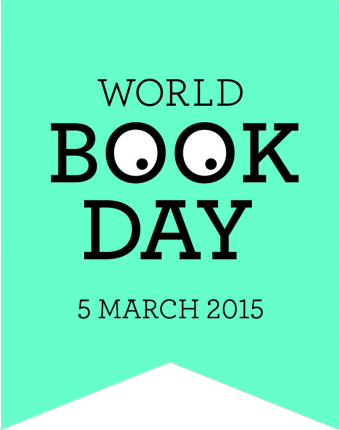 We all love books and reading, so why not share the love even more. I hope that I get a lot of people who want to be on this list, and if you decide that you want to be, then I hope that you find some amazing books from it. Do you fancy joining us for a buddy read over Easter weekend? Me and my book buddy Irena from BookDustMagic will be reading Blogger Girl by Meredith Schorr. We will begin reading on Good Friday (March 25th) and whilst reading it (together but apart in our separate countries) we will be tweeting and discussing the storyline, characters and basically whatever our thoughts are. What happens when your high school nemesis becomes the shining star in a universe you pretty much saved? Book blogger Kimberly Long is about to ﬁnd out. A chick lit enthusiast since the ﬁrst time she read “Bridget Jones’s Diary,” Kim, with her blog, “Pastel is the New Black,” has worked tirelessly by night to keep the genre alive, and help squash the claim that “chick lit is dead” once and for all. Not bad for a woman who by day ekes out a meager living as a pretty, and pretty-much-nameless, legal secretary in a Manhattan law ﬁrm. While Kim’s day job holds no passion for her, the handsome (and shaving-challenged) associate down the hall is another story. Yet another story is that Hannah Marshak, one of her most-hated high school classmates, has now popped onto the chick lit scene with a hot new book that’s turning heads—and pages—across the land. It’s also popped into Kim’s inbox – for review. With their ten-year high school reunion drawing near, Kim’s coming close to combustion over the hype about Hannah’s book. And as everyone around her seems to be moving on and up, she begins to question whether being a “blogger girl” makes the grade in her off-line life. This book has been out for a while, but Irena and I decided as neither of us had read it, this is the book we should read together. It sounds perfect for a buddy read that we will be blogging and tweeting about. If you want to join us, then grab the book either from the library or one of these links and watch out for the hashtag #BloggerGirl. Everyone is welcome, just follow me and Irena at the links below, and join in the fun. 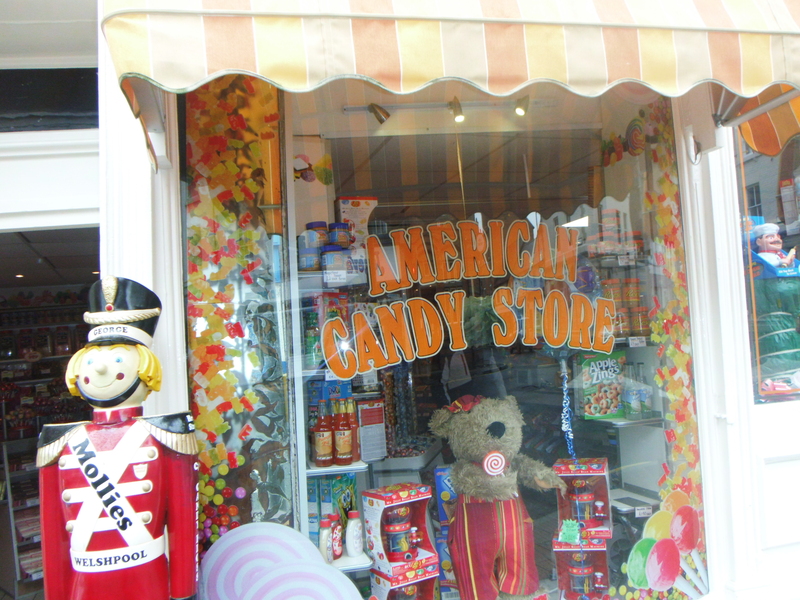 My Trip to The Best American / Old Sweet Shop. Sweet Love! 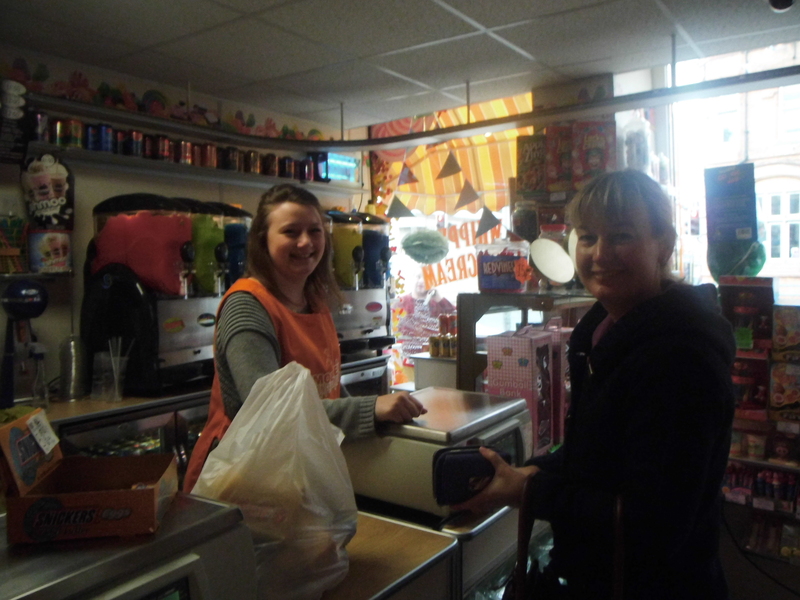 Mollies Sweet Shop In Welshpool. I visited Welshpool last weekend for a friend’s Wedding. Her Wedding was amazing, she looked beautiful and I loved sharing their day with them. However, this post is not about their lovely Wedding. The day after the Wedding, I found this amazing shop. I was so excited, overwhelmed and hungry! My senses were all heightened in this amazing shop. So, here I want to tell you all about it. 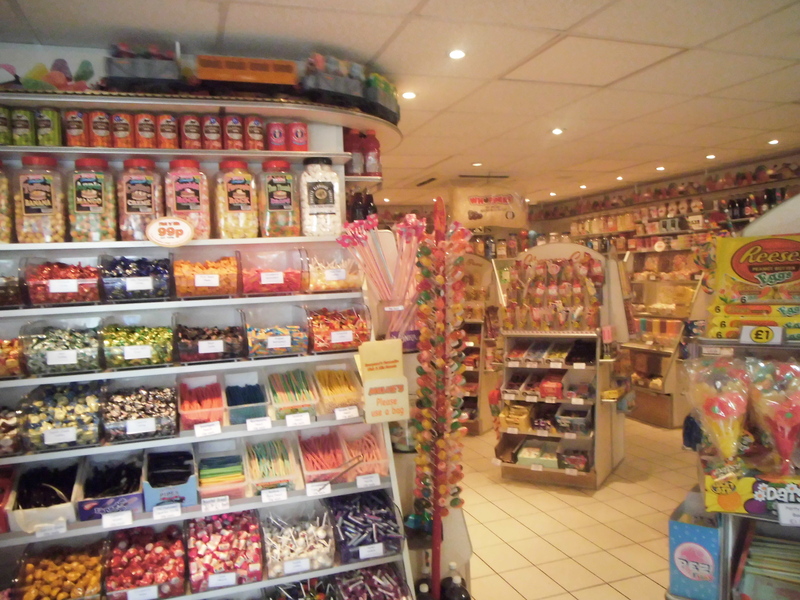 The shop was the biggest sweet shop I have ever been in, I spent nearly £20 in here!! 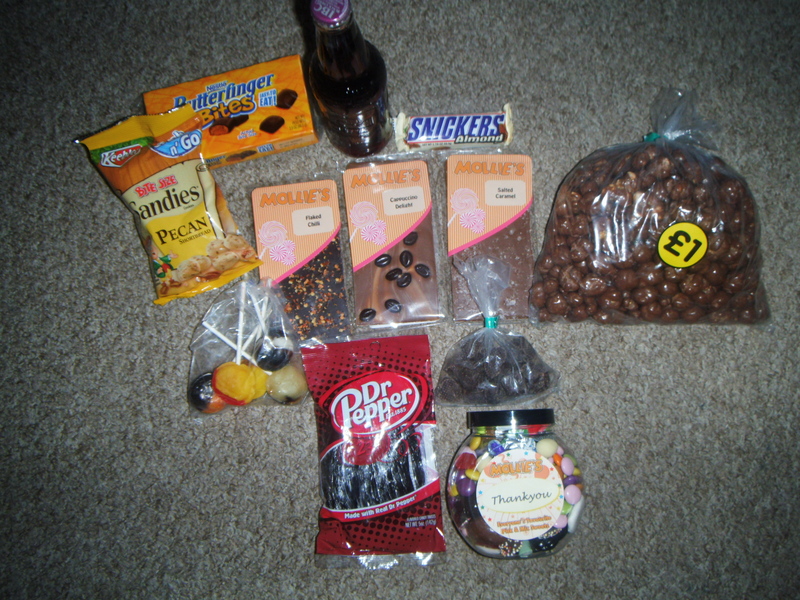 Which is A LOT only on sweets, I did however spend some of it on gifts for my Gran and Mother in Law though. 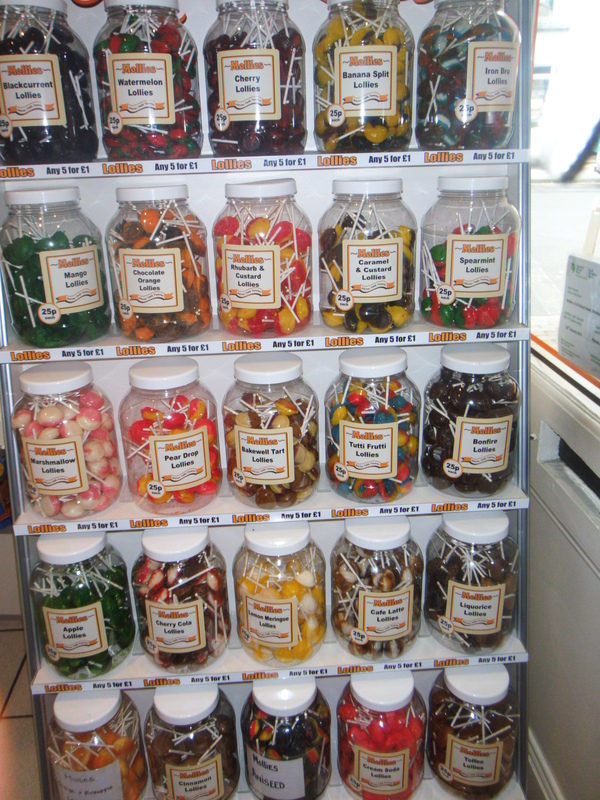 These jars cost £4 and you fill them to the brim with whatever sweets you like from the shop. So, we really did fill them up. (Lovely gifts to say thank you). These flavoured lollies were 5 for £1, so I bought 5 of these for myself and Hubby. The buttered popcorn ones just sounded amazing. 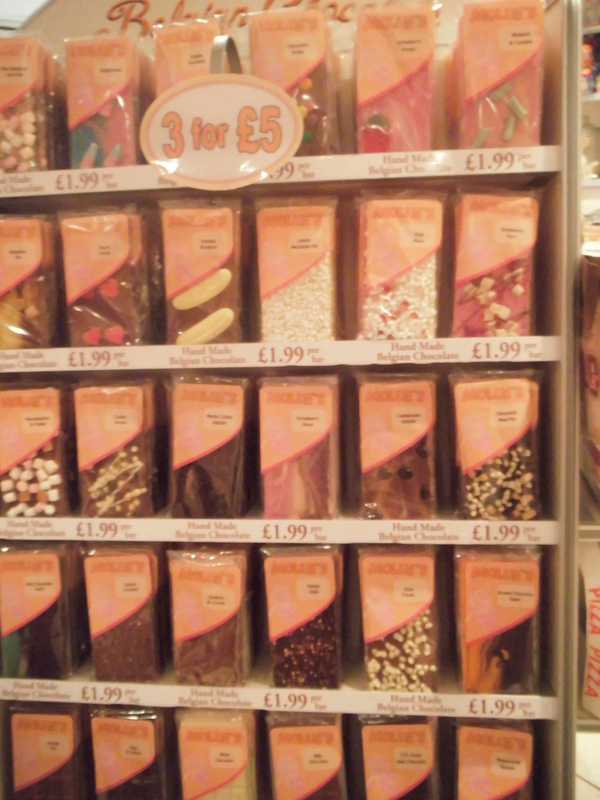 There was an amazing selection of flavoured fudge. I chose some snickers flavour and butter flavour. 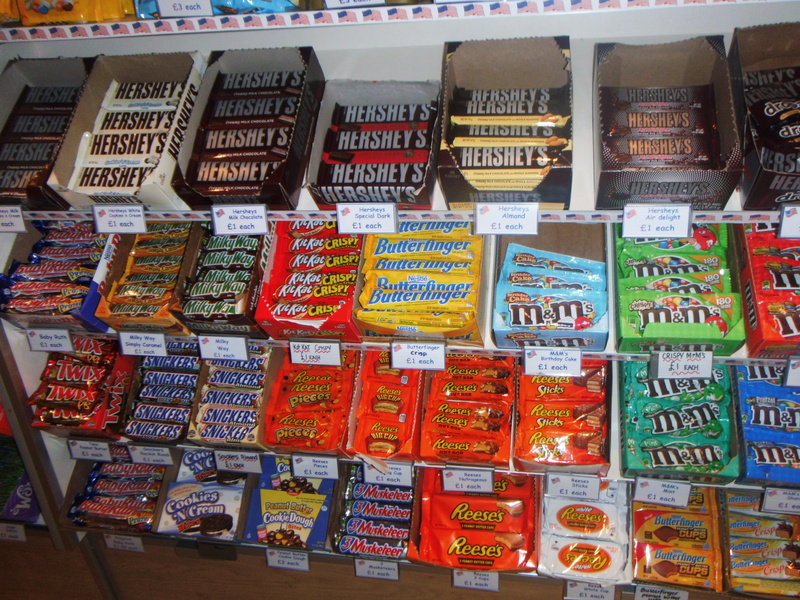 I had resist trying them all, as there was so much I wanted in this shop. 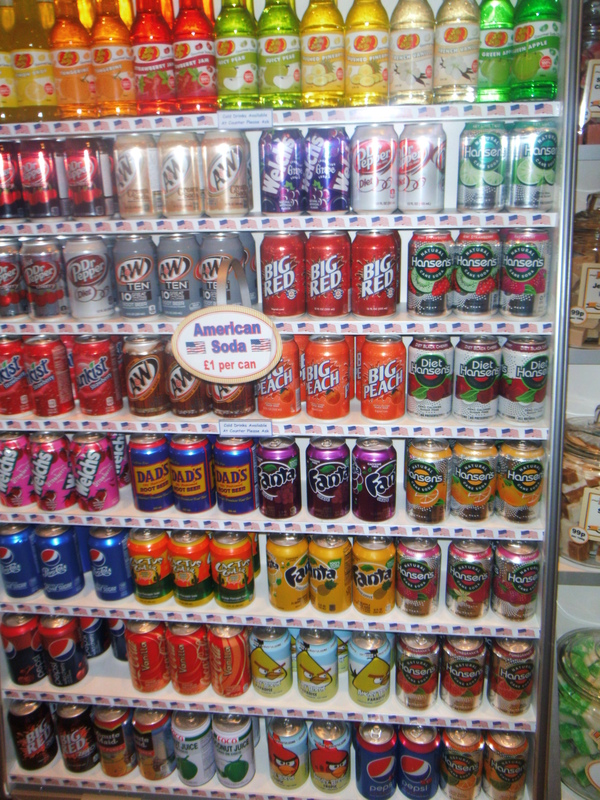 They had all kinds of American fizzy drinks, and something for everybody – even if you needed freefrom luxuries. 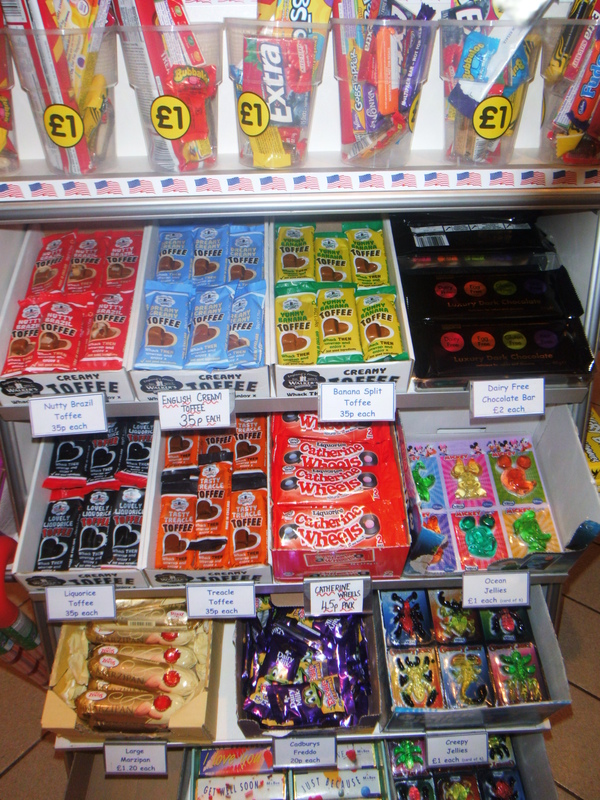 So many delicious choices here, if you live in or near Welshpool, how lucky are you?! 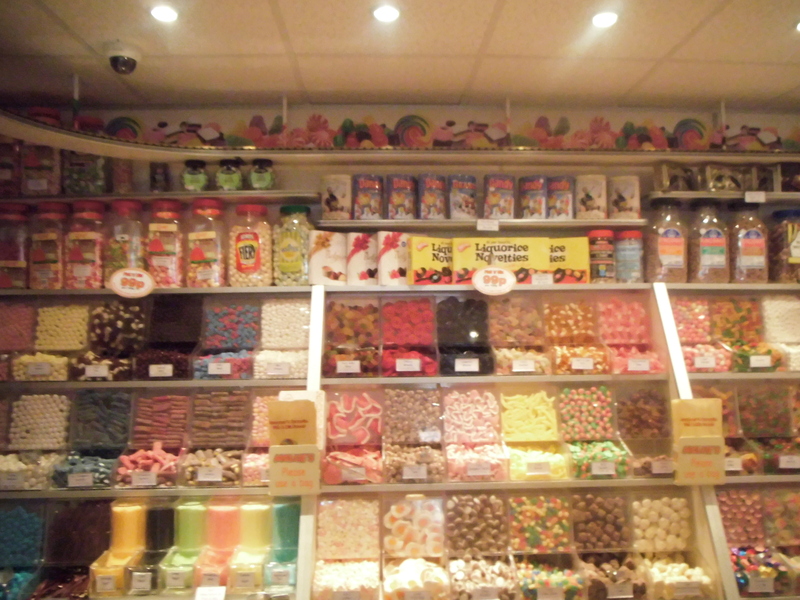 This shop would be like sweet heaven for children. 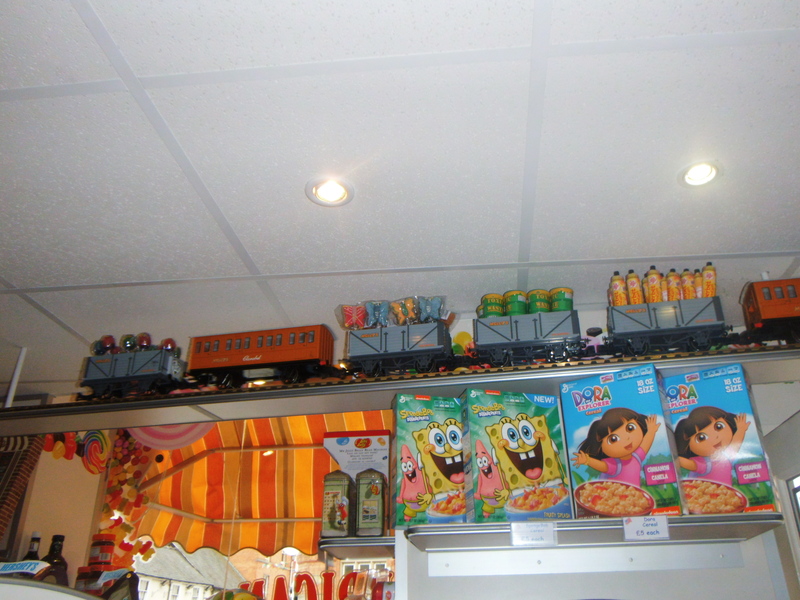 They had a train filled with sweets traveling around the ceiling of the shop. The shop played lovely Disney songs throughout my visit. This just made the visit all the sweeter, if that were even possible. 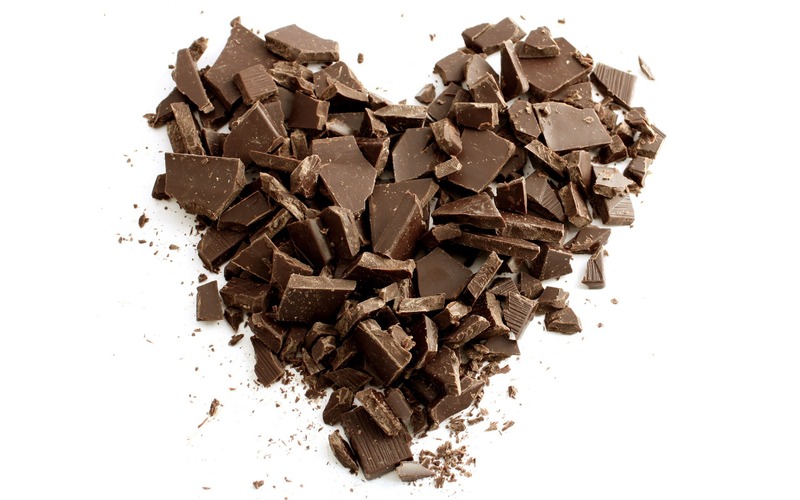 Chocolate is my most favourite of foods. This selection was my complete indulgence. It was 3 bars for £5, bars with all different coatings on the. I choose these ones. They are amazing!! A bag of chocolate covered popcorn. 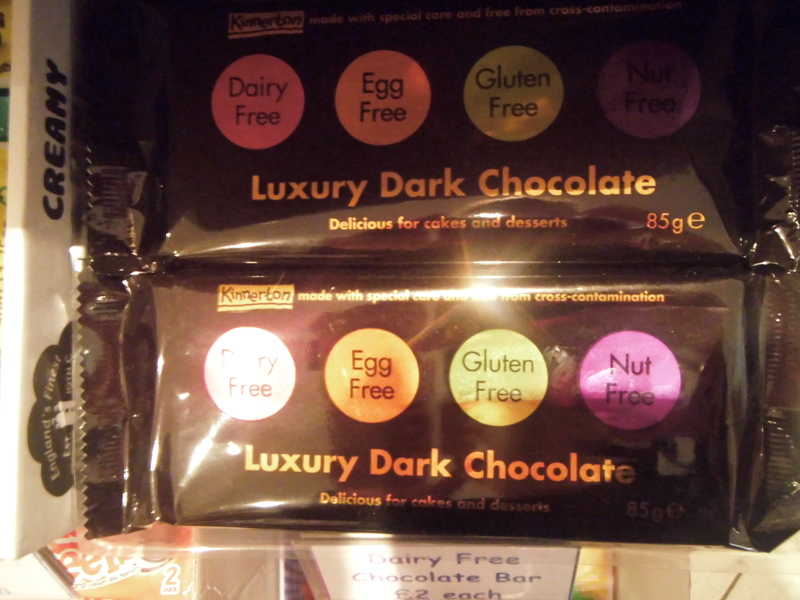 3 bars of chocolate – salted caramel, coffee and chilli. A bottle of Cherry Fizzy Drink. 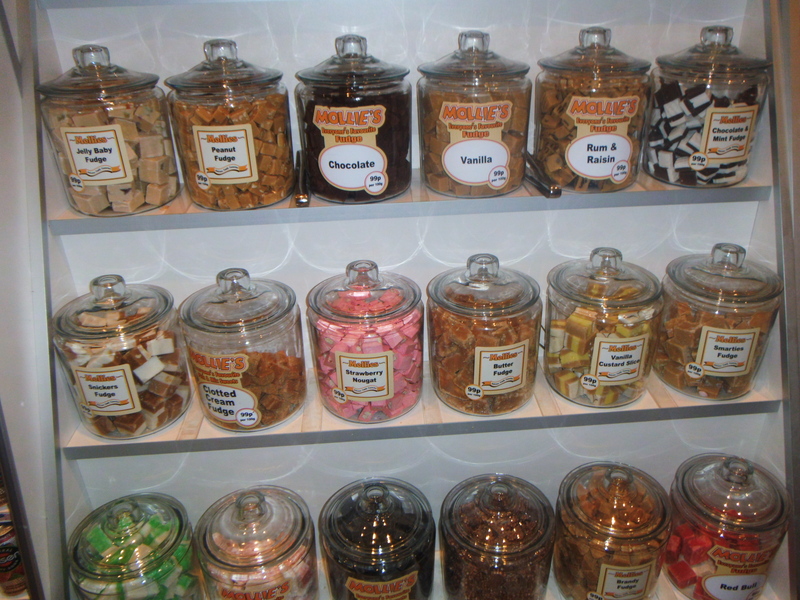 What an incredible shop, that sells so many delicious sweets and choices. The shop s very far away from me, so I was rather indulgent. 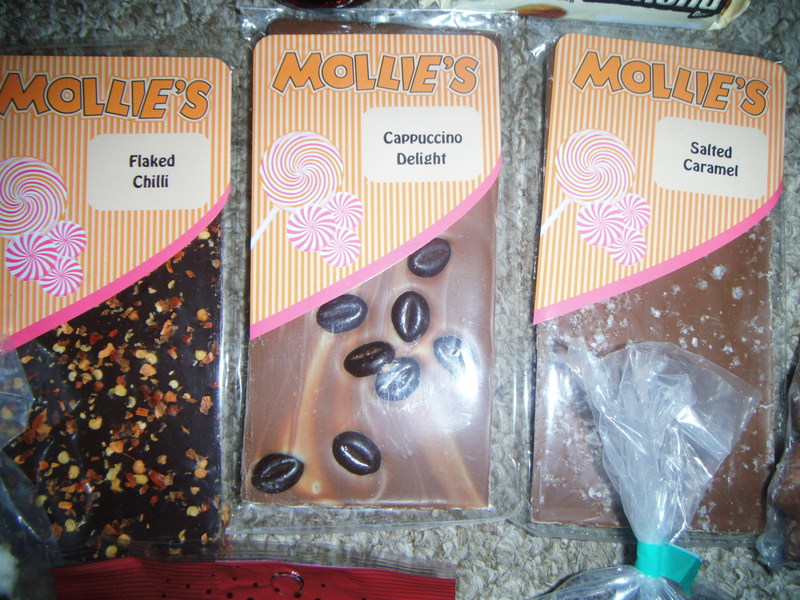 My friend has said that I can have Mollies goodies as part of my Christmas and Birthday gifts! Lucky me!! Do you live in or near Welshpool? 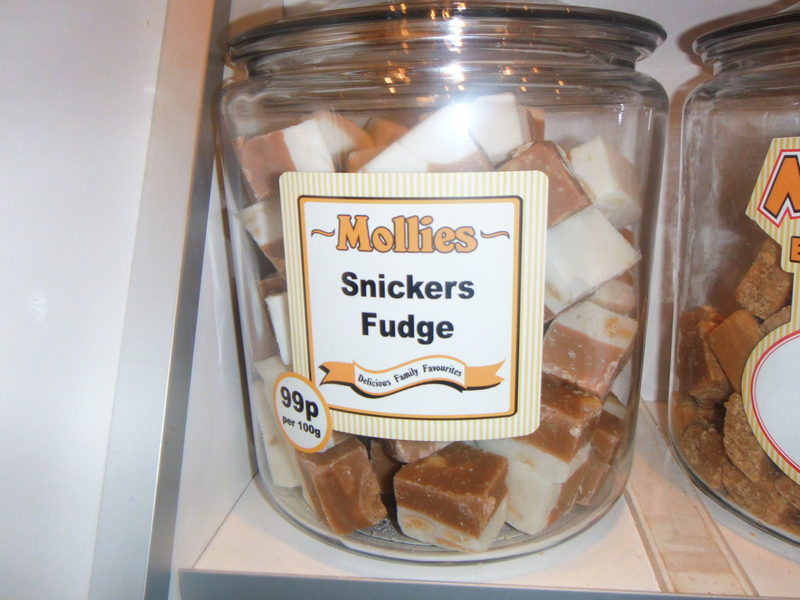 Have you been to Mollies before? 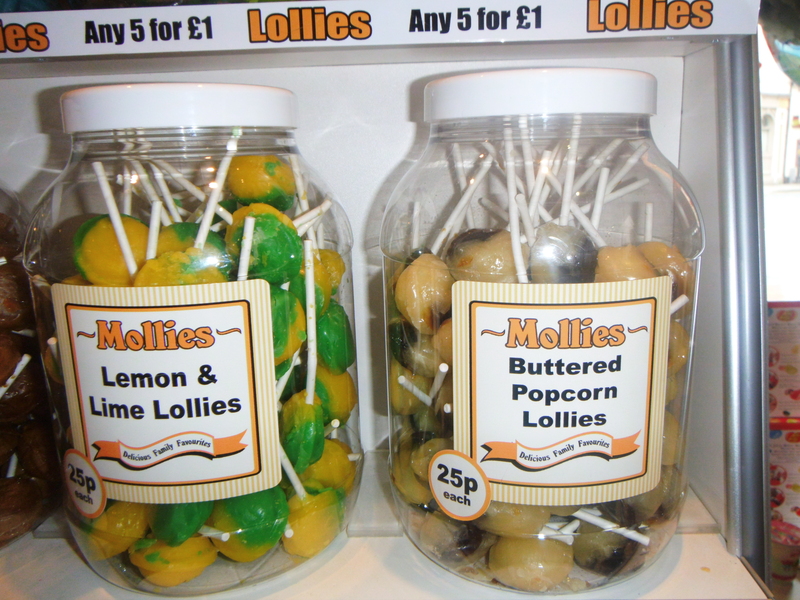 I would love to hear from you and your thoughts on Mollies and sweets. 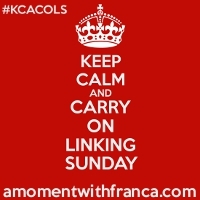 Thank you to all the hosts below for hosting and sharing my posts on their link ups. I really appreciate you all. 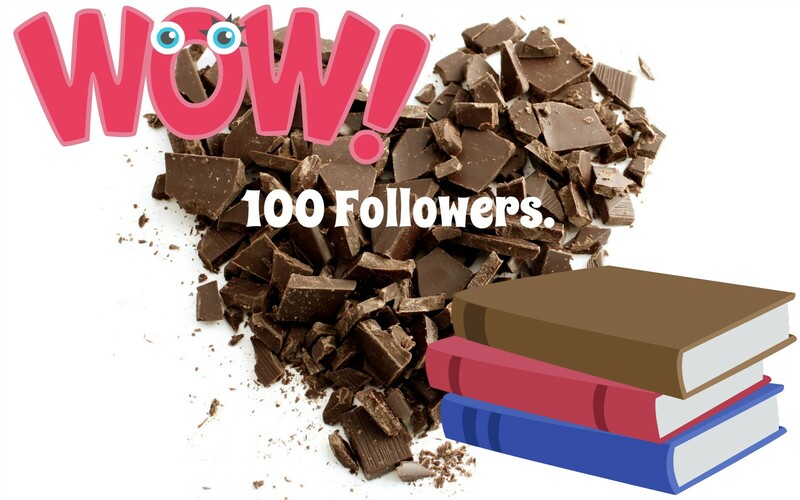 Happy First Blogerversary AND 100 Followers! I started blogging last April, just to see what it was like. 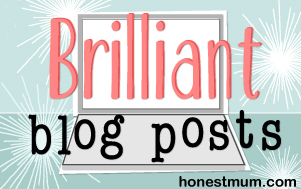 I had been reading lots of other people’s blogs, and thought I can do this…. and I want to do this. Then became ChocolatePages. Over the year, I have gained 100 followers. This is amazing, I wasn’t sure anybody would want to follow my thoughts. I am so happy that I have written posts that people enjoy, it makes my day to have likes and comments on my posts. I want to say a huge THANK YOU to all my followers and those of you who read my posts. Over the year, I have read lots of books, spoken to the authors, (which I love! 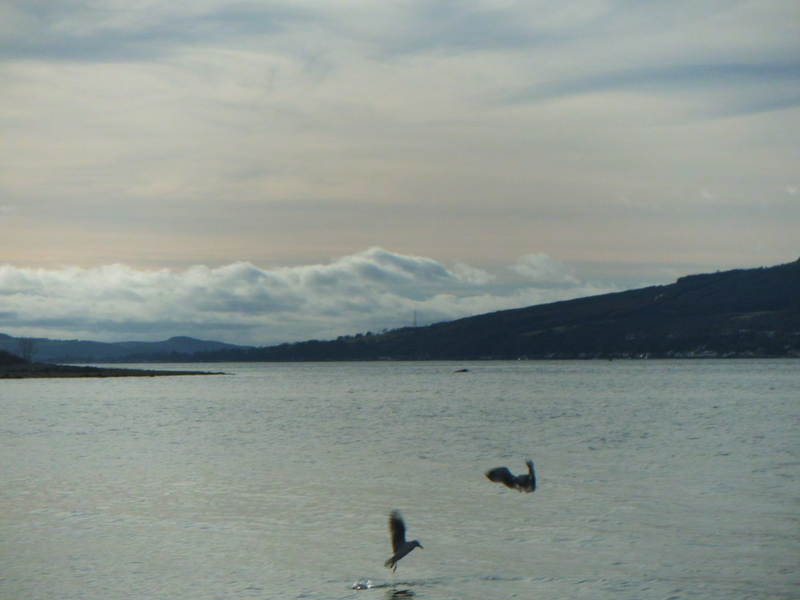 ), joined blog tours, entered and won competitions on blogs and Twitter. And the most lovely thing is that I have made blogger friends, friends who have the same interests as me. These friends can rave about books, discuss plots, endings, characters and huge tbr lists. This is one of my favourite things about blogging. So, blogger friends, THANK YOU! As a celebration of blogging for one year AND gaining 100 followers, I want to do a giveaway. I have entered lots of these, but never planned one myself. So here it is. Lots of luck to you and THANK YOU for all your support over the past year. I hope it will continue for another year to come. Click on the rafflecopter link below to enter, Thank you. Thank you all for entering, I’m sure I will be running more celebratory giveaways as my blog continues. Post Pals. How YOU Can Help a Sick Child. This is the most important, emotional post I have ever or probably will ever write. I found this website from reading Glamour magazine, they had written about it and I thought I would have a look. POST PALS is a charity set up and manned by volunteers to help sick children in a way that anybody can do. It doesn’t cost a fortune, you don’t have to commit to anything, all you do is write a card, or a letter to a sick child. We all know how much a nice letter or card can brighten our day. Imagine these children and their siblings, parents, carers or guardians. Just a little letter or card can bring a smile to their faces when they are struggling with their health. You can read about each child that is waiting to hear from you. The web page will give you advise on what kind of things to write AND what NOT to write. If you like you can send little gifts, they can be as inexpensive, home made or expensive as you like. The site has guidelines on things to be wary of depending on the child’s illness. Make a child smile, it will brighten their day. In celebration of WORLD BOOK DAY, I thought I would write and tell you about my love of reading, literature and how it led me to creating ‘ChocolatePages’. This post is part of the World Book Day ( http://www.worldbookday.com ) campaign. I have been asked by My Voucher Codes ( http://www.myvouchercodes.co.uk ) to tell my story of what literature means to me and how it inspired me to start blogging!…. And what a great subject to write about. I have always loved reading, I remember going to the library to choose books when I was in primary school, it continued while I was in secondary school and still now I use my local library. I remember having my parents and relatives reading me bedtime stories, some were made up!! and some were from books. Both were as good as each other. As I got older, I found that my friends weren’t as enthusiastic about reading as me. My Mum still liked to read, and we would chat for hours about the books we both read, our thoughts on the characters, what we thought of the plot, the endings, our favourite authors! Its great, we still do that now, and I love it. I wanted to talk about books more though, and talking about books encouraged me to read more books. I decided to open a Twitter account, just to see what this ‘social media‘ craze was all about!! Never did I expect it to lead me to ChocolatePages! As I was exploring Twitter, I stumbled upon #BookBloggers!!! As I explored more and found all these lovely people talking about books, authors, literature, I wanted to be involved. So then came about ChocolatePages. I love blogging as much as I love reading. I love to share with this community about all the books I have read, am presently reading and are on my list of to be read. I love that via my blog, authors will chat to me. 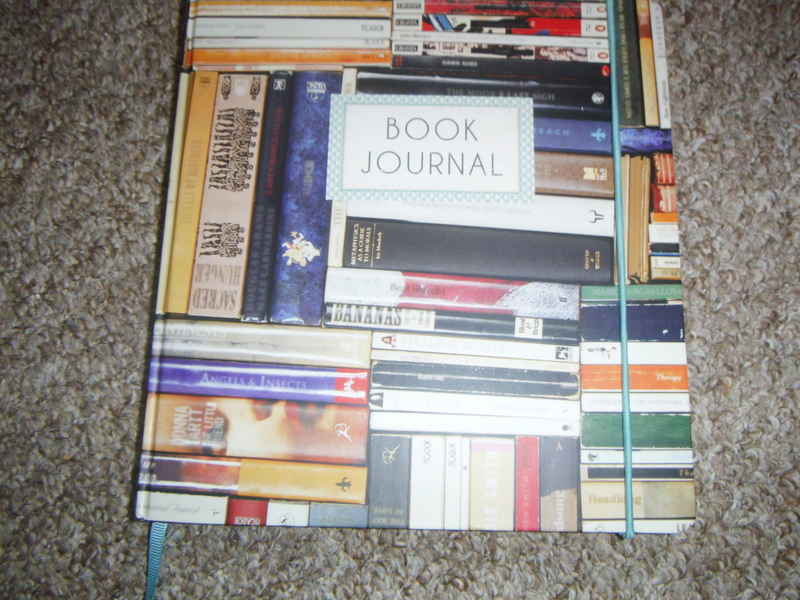 I even have a bookblogging journal now. Authors are a lovely part of my blogging life, because they see my blog and ask me to read their books and review them. Now I get to a chance to write about the books I read and sometimes encourage other people to read them too. I have joined up to my very first Love-a-Thon. These events have happened in previous years, but this will be my first. Alexa has organised the Book Blogger Love-a-Thon in hope that we can find new blogs to love and spread love to older and newer blogs and the blog owners! I am looking forward to finding lots of new blogs and bloggers to chat with. There should be time for commenting on blogs, spreading positivity amongst bloggers and our community. Alexa will be holding Twitter chats, mini challenges and giveaways. The # to follow all the chat is #Loveathon. So, the first part of #Loveathon is to get to know all the fellow bloggers who are taking part. Here are some questions and answers about me, (some sent over from Alexa) so you can get to know me more. I am hoping that fellow #Loveathon bloggers will be reading this. If you are joining in, please leave me a comment to let me know who you are, your links and just to say hello. 1. What’s your name and where in the world are you blogging from? 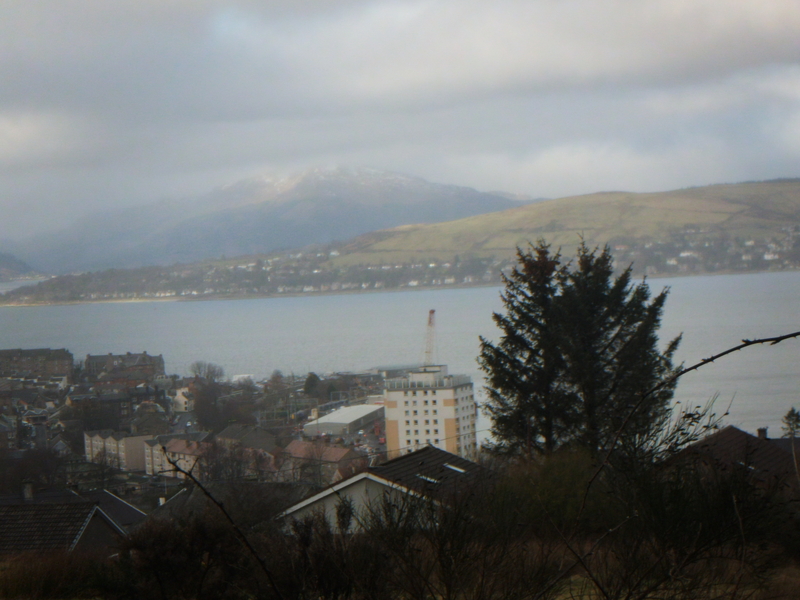 I’m Amanda, and I live in Scotland, though I am originally from Wales. 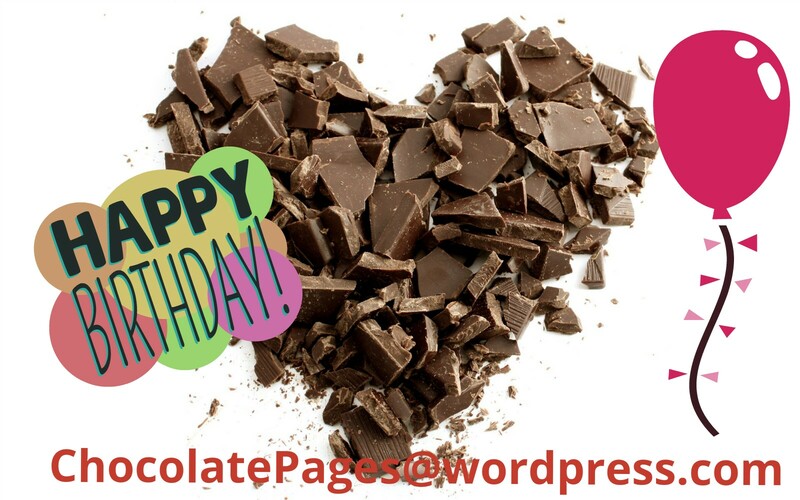 I came up with chocolatepages after thinking carefully about what I will be blogging about and what are my loves. I had read lots about blogging before I started and I wanted to choose a name that I could use on all social media platforms, so I also have chocolatepages in Twitter, Pinterest and Instagram. I love reading, baking and chocolate, so chocolatepages seemed just right. 3. What genre do you read and review most on your blog? I mostly enjoy chick lit, but also like crime and mysteries. I have reviewed one YA fantasy so far, and I did enjoy it. The imagination of the author was amazing. 4. What other types of posts do you do? 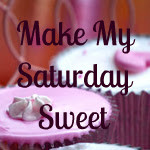 Aside from book reviews, I also blog quite a lot about things that I have baked. My Hubby has a lot of food allergies, so I mostly bake gluten free things and things which are on a special FODMAP diet. That’s vey complicated and strict! I also do a few lifestyle posts. Bit of a mix really, but I would say its mainly a book blog. 5. Best blogging experiences so far? The best parts of blogging is the community. I love to write about the things I love, but it wouldn’t be the same without my readers and the interaction that I get back from my blog and Twitter. 6. Fav thing about the blogging community? I love all the interaction in the blogging community, everybody is so supportive. I feel like I have made some real friends via blogging. I also love the interaction with the authors, I like that they seem to appreciate my reviews. 7. Name some books you are excited about for 2015? I have a few books that I’m looking forward to reading this year. Blue Sun, Yellow Sky, by Jamie Hoang. (Just out). Finding Audrey, by Sophie Kinsella (Due out June 2015). 8. Which book boy or girl would be your book BFF? My book BFF would have to be Becky Brandon from Sophie Kinsella’s Shopaholic series. She is so funny, I would be laughing all the time. 9. Pick out a book you want turned into a film/tv show? or a tv show/film you want turned into a book? I really enjoyed watching Under The Dome and I know that this is based on the book written by Stephen King. So, I would like to read this. Sometimes, I’m not sure I would like books to be turned into films, because they are never as good. I will be interested in other people’s answers to this question. So, there is some Book Blogger Love-a-Thon information about me. Please feel free to join in with #LoveAThon via your blog and / or Twitter. I would be very happy to chat with you and I know Alexa would too. Finally thank you Alexa for organising this, and heres to a fantastic #LoveAThon weekend, and making lots of new blogger friends. 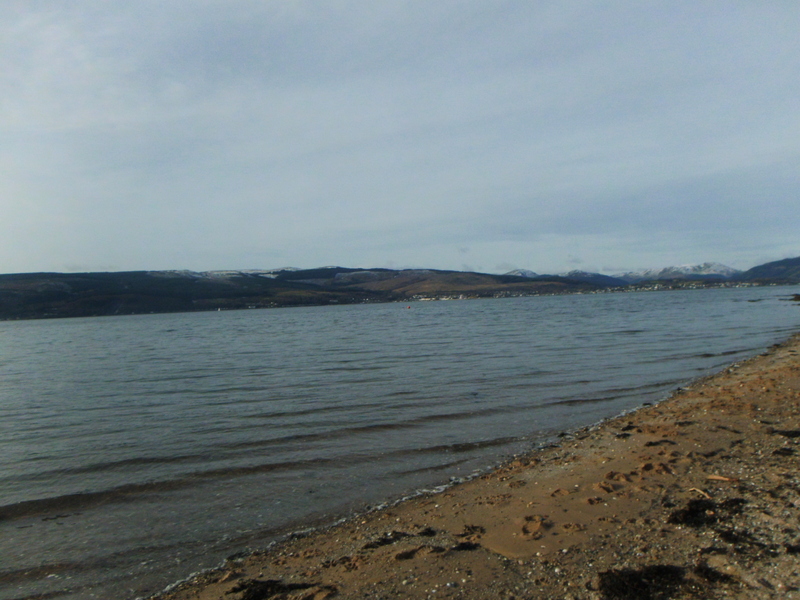 Scotland is a beautiful place, I thought I would share with you some lovely places around where I live. 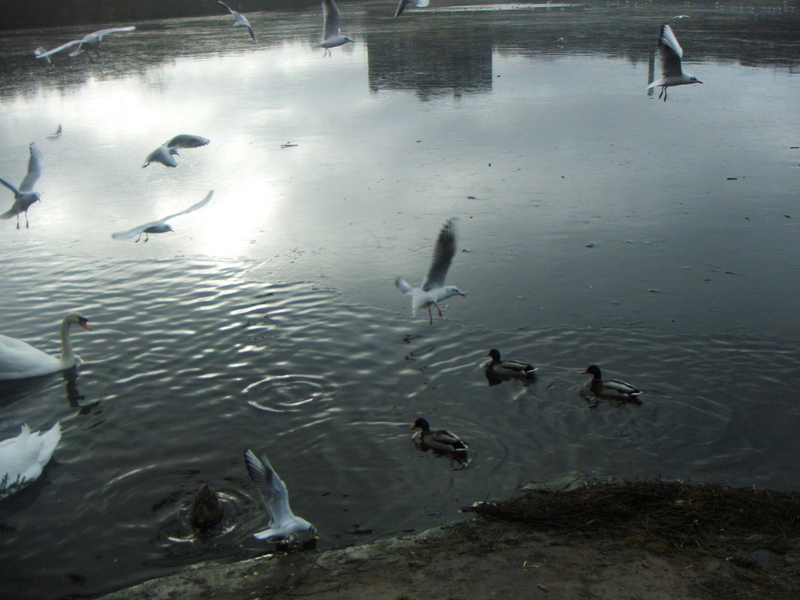 I had a few days off work this week, so I gathered up some stale bread and headed off in search of some ducks. 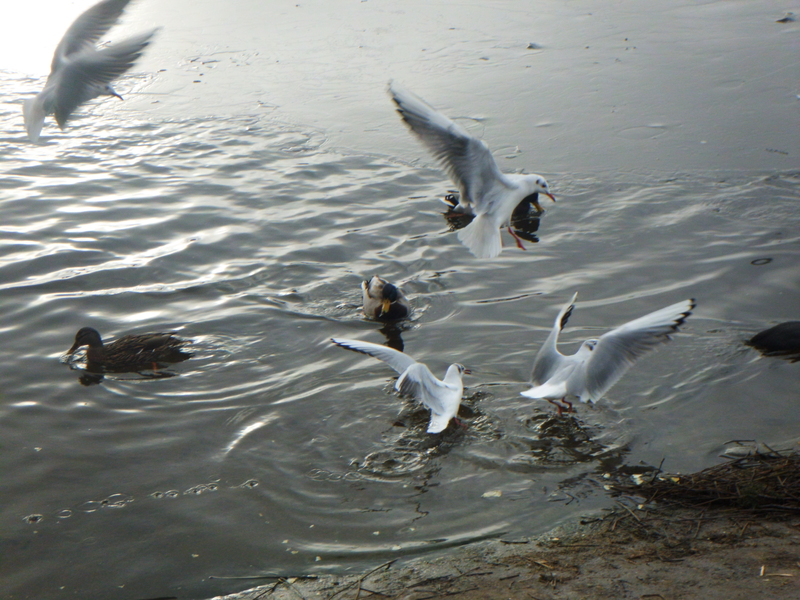 We didn’t find any at first, just birds! 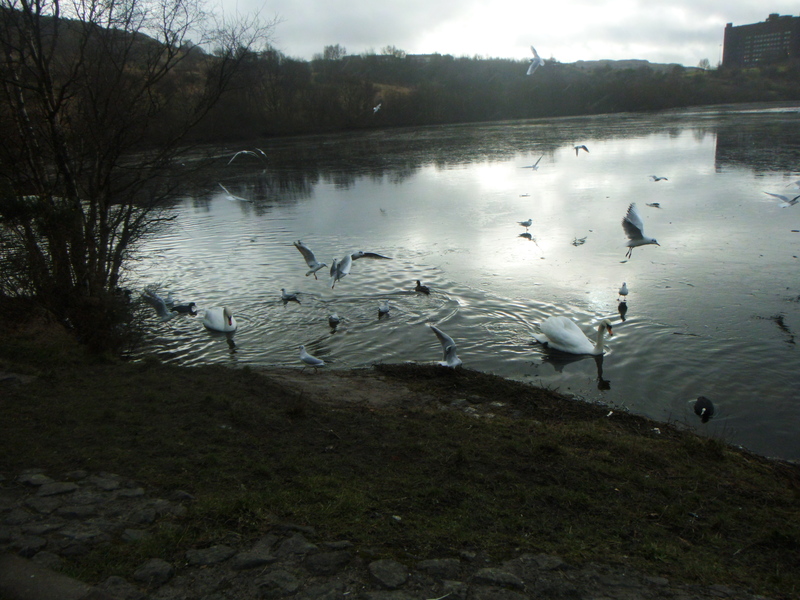 The we went to the local reservoir, where there were ducks, swans and of course the seagulls! 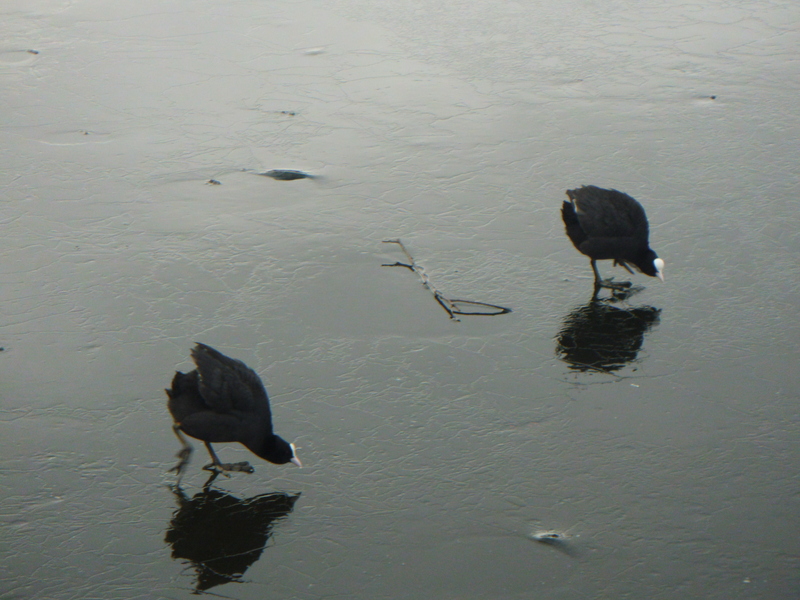 I think they were very grateful for the food, as the water was partly frozen over. 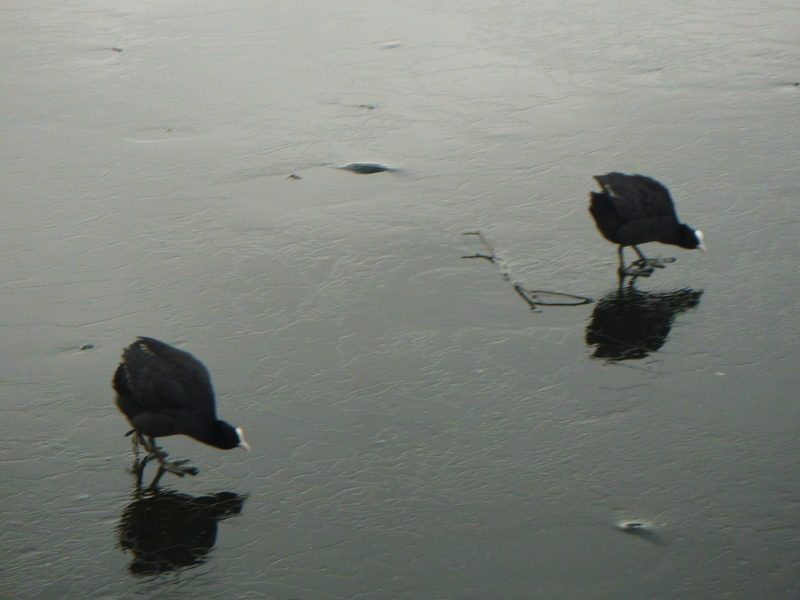 We watched the ducks slide over the ice. The views are really beautiful here. 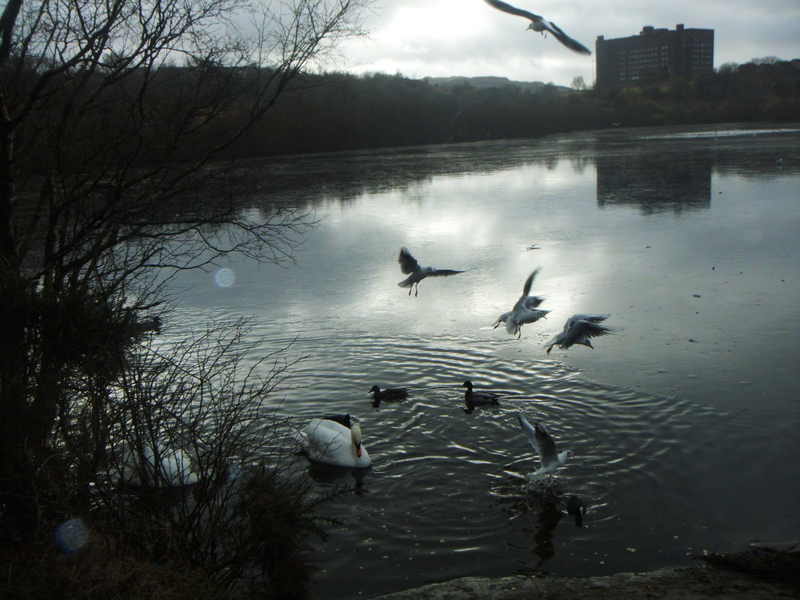 It was a lovely fresh, but cold day. 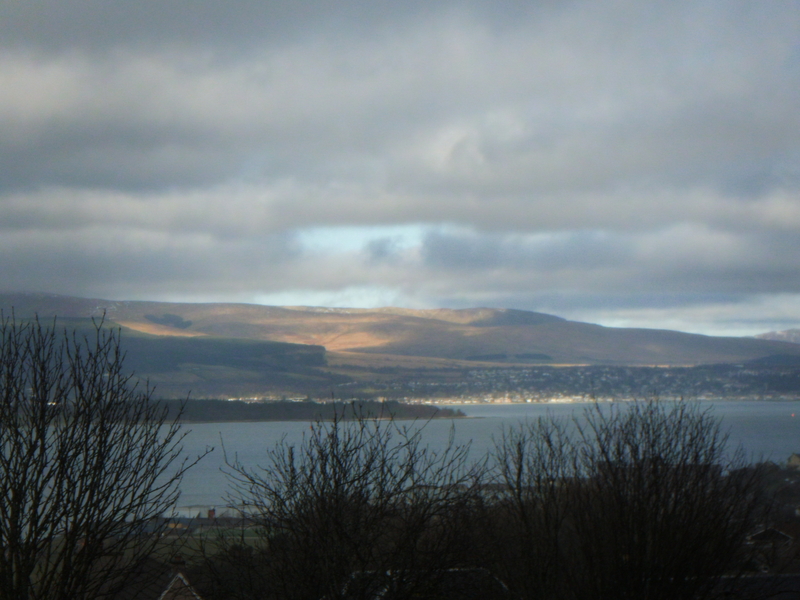 Sometimes, I forget how nice the place I live is, so this post is a good reminder and a nice way to share the beautiful local walks here in Scotland. 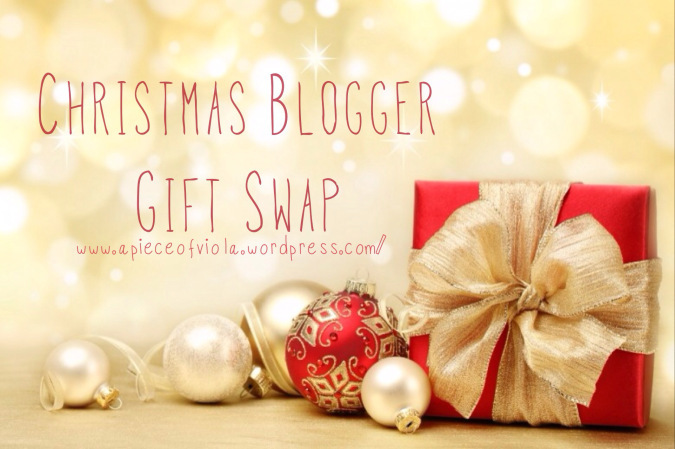 I have been invited to be part of The Christmas Blogger Gift Swap, and YOU can take part too. She has come up with a great idea for us bloggers to celebrate Christmas between us and get to know our fellow bloggers a bit better. Its just for UK bloggers (sorry international bloggers, but its a cost thing I think – perhaps you could organise one in your country? Let us know). 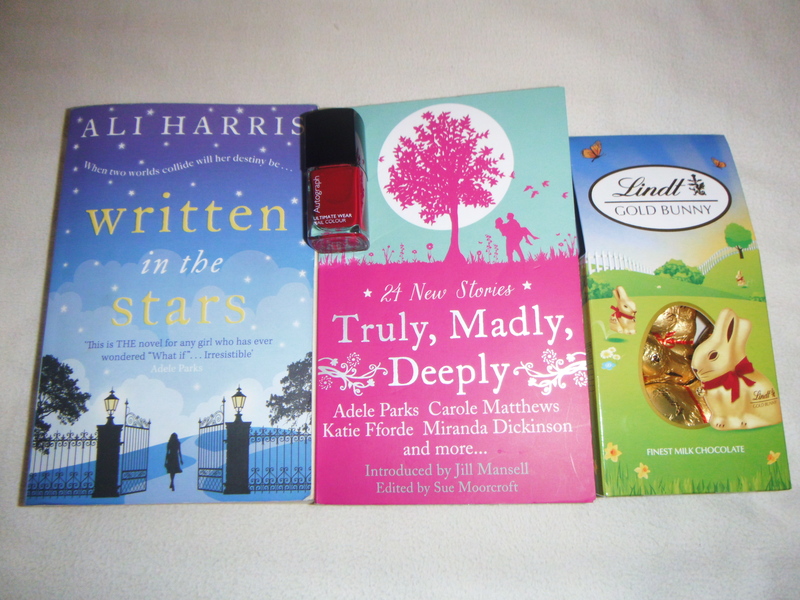 Anyway, its a gift swap and a way to get to know other bloggers and their amazing blogs. You will get paired with another blogger at the beginning of December (by Viola). Then you have a bit of time to get to know them, before you can arrange to send them a lovely Christmas gift. My initial worry was its going to be expensive! But, no you and your blogger partner can decide amongst yourselves if you want to set a price, or not, or even send homemade gifts? Its totally up to you! That’s part of the fabness of this idea. Write a blog post about the event. (within 3 days so we can get lots of bloggers involved). Get paired up, get to know your blogger friend, buy gifts and send. November 28th: Deadline for submission form. December 1st: Find out blogger friend. By December 17th: Send off your gift. Write a blog post about the event. 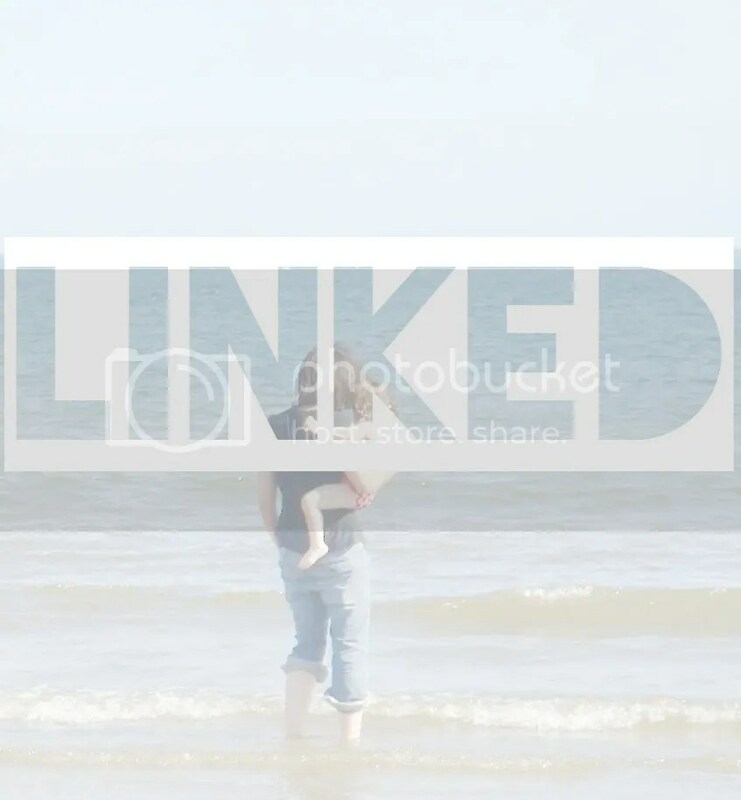 Write a post about your gifts (include photos) after you have received them. Send links to Viola of all your blog posts. 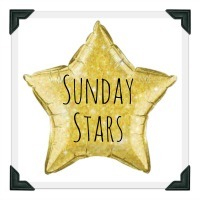 Its nearly Christmas, let get a great Blogger celebration started!! Woo Hoo!